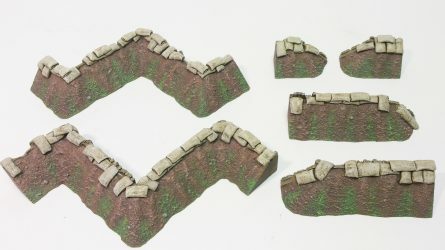 Cast in resin and supplied in six parts. 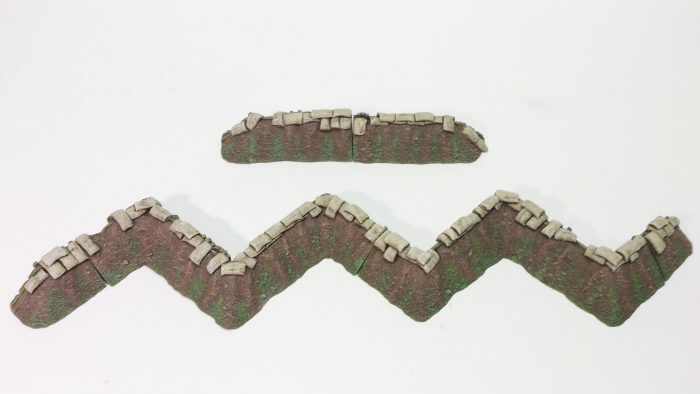 These earthwork pieces have been designed so that you can use them as zig-zag shaped linear breastworks or as a trench system where you can vary the width to accommodate different sized bases. Each section is different and have their earth banks supported by a mixture of vertical logs, cut timber and corrugated iron sheets. On top sits numerous sand bags to help keep the defenders safe. 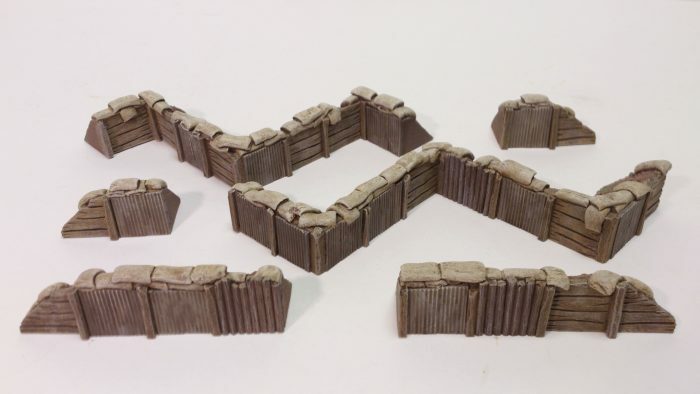 You could also add barbed or razor wire coils on top of the sandbags. 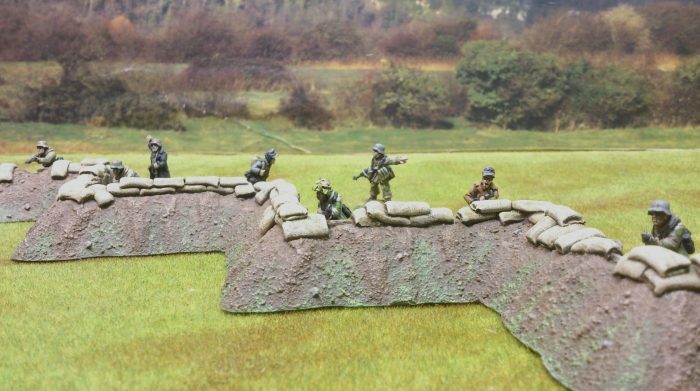 Used as a double sided trench system, the model is apx 12″ long – you could add further sections to lengthen it. 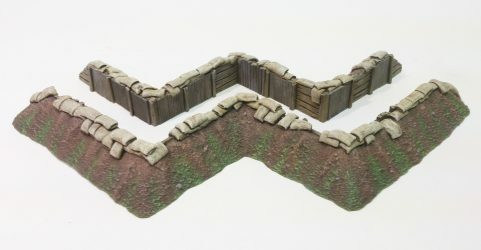 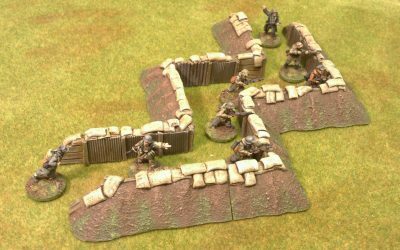 As a single sided infantry entrenchment, the model length is apx 16″ long with an extra 6″ straight section. Available in raw resin or fully painted in either temperate or arid paint schemes. 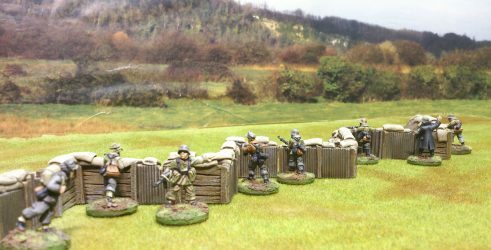 Figures used in photo’s are Artizan Designs 28mm – and are not included.